The SportDOG NoBark 10R collar lets you customize the type of bark control that works best for your dog. Select from Temperament Learning, Progressive Correction or User-Selected Correction modes. PerfectBark technology provides firm, fair and consistent bark control, requiring BOTH vibration AND sound to trigger a correction. The automatic safety shut-off eliminates the risk of overcorrection. Hear the quiet? SportDOG Brand. Gear the way youd design it. 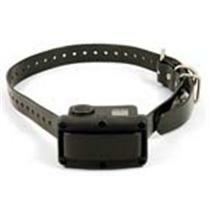 I have a Springer Spaniel that has learned to over bark her Pet Safe Bark collar, it works great for my other dog! So I tried the SportDOG SBC-10R Rechargeable Bark Control Collar for my Springer and it WORKS!!!!! Both I and my neighbors THANK-YOU SportDOG for making this collar an also THANK-YOU Pet Stuff Warehouse for your friendly helpful AWESOME staff !!!! !